We invite you to celebrate the birth of the Newborn King with our One Starry Night children's Christmas collection. These items feature exclusive, full-color illustrations that perfectly explain what happened on that starry night. 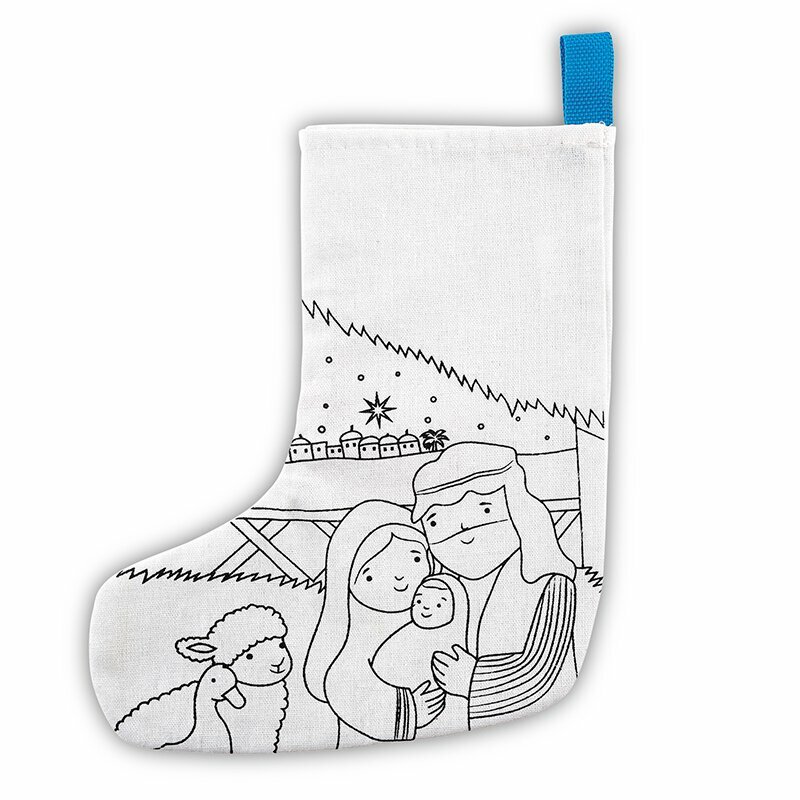 This color-your-own Stocking is a fun activity for kids to do during Christmas parties and gatherings at church, school or home. Sized to hold plenty of treats or favors. Crayons/markers not included. For best results fabric markers are recommended. Sold in quantities of 12 per pack.